Joakim Book | Life of an Econ Student: When Do You Become An Economist? When Do You Become An Economist? On a regular Sunday evening, sitting across from me, my flatmate is reading Friedman's Optimum Quantity of Money. All of a sudden, he bursts out laughing. In between his strained attempts of catching his breath he jokingly says "This is the best sentence is all of economics! If anybody asks me what economics is about, I'll read them this sentence". The more interesting distinction is what constitutes an economist. When do I graduate from being a "writer on economic topics" to being an actual "economist"? It's not the first time I have struggled with this issue, and I've hesitated referring to myself as an 'economist' before, simply because I do not hold an academic degree. Where is the magic line dividing the population into economists and non-economists? For an essay last week I had the great (mis)fortune of reading parts of Ed Balls' memoar Speaking Out (FT review here), where his publisher describes him as an economist, despite the fact that he studied PPE at Oxford for his undergraduate degree and an MA in Public Administration at Harvard. Ed Balls an economist? Nobody believes that. So, then who is? The easiest starting point would be some kind of academic degree. Let's first consider an undergraduate degree in economics, normally including a few years training in thinking on the margin, some supply-and-demand analysis, drawing graphs in macro and micro settings, deriving first-order conditions and doing some simple econometrics. But honestly, like most university work, it boils down to signalling employers that you're analytically and verbally smart enough to be employed – rather than constituting an intellectual challenge, separating the economics wheat from the non-economics chaff. If we pretend somebody has taken all required economics units but hasn't formally received his/her diploma, would they be less of an economist than somebody who has? Unless we're in some strict legal positivist world we'd have to answer no, which implies that there is some fundamental knowledge that defines an economist. Now this is an interesting contender and a point I guess Dr. Krugman regrets ever making. 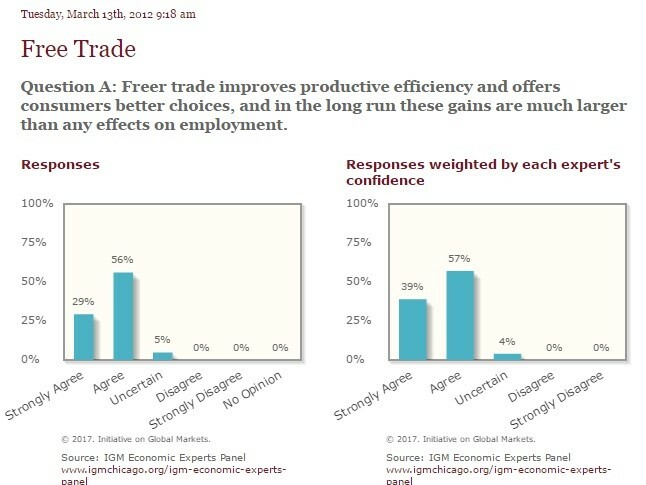 And more than one prominent economist has taken issue with such blackboard free trade positions; more recently, see for instance MIT professor David Autor's work (here or here or here). 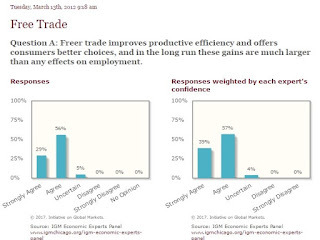 However, looking at University of Chicago's IGM survey of high-profile economists' opinions, that seems to align fairly well with Krugman's creed; few topics in the IGM surveys are as clear as this one. Econometric analysis, such as time series or sophisticated regression analysis. Interesting to say the least, and I'm sure there are many more examples and distinctions one can make as to what actually constitutes an economist. I'd be interested to learn more! Though Economics is the science of scarcity, but this subject is lot more. Now the world economy is divided into 2 groups: richness and poverty. a problem in america will not be the problem in burma. Even poverty is having different meaning, that is why IMF and World Bank can't do anything to eradicate poverty. The common concepts will not be tested in all countries. But we have to keep facts, figures simple and use it to the development of human being, that is economics. A person has $ 1000, if he improves his life and earns $2000 where his wife is working at home, kids are studying, have a peaceful life, Government is also helping with food, gas, etc. Then it sounds good for the economy.